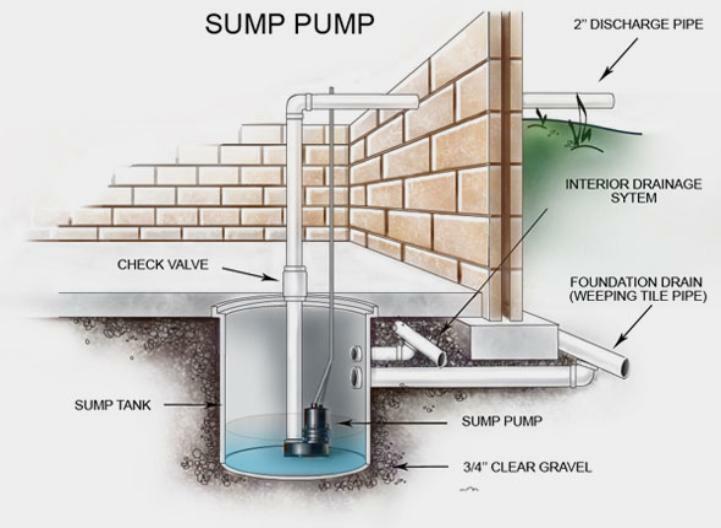 A sump pump is the heart of a basement or crawl space waterproofing system. This electrically powered device does the heavy lifting to keep your basement dry. It pumps water out of your basement (or crawl space) after the water collects in a sump pit dug into the floor. basement flooding, especially in situations where basement flooding is regular and becoming problematic. of water into your home during stormy weather. In this situation a sump pump can be a much needed solution to cure your flooding problems. A sump pump is a submersible pump that sits inside of the sump pit and is at the heart of the sump drainage system. system that usually runs the perimeter of the home. of your property through the discharge pipe – away from your basements foundation. Once the water level recedes the sump pump will deactivate automatically. 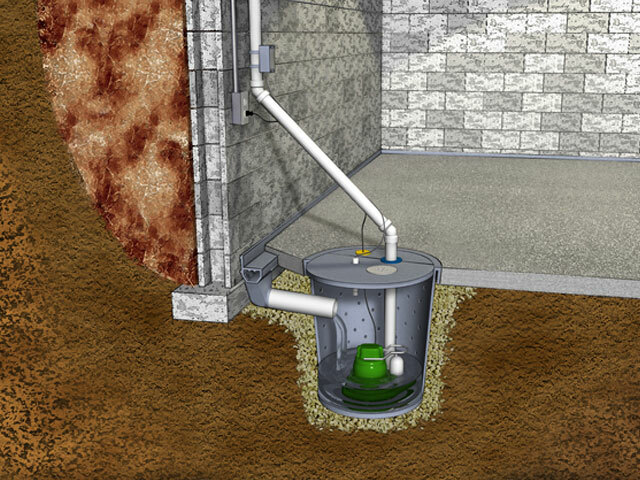 For the best protection against water in your basement, you should consider installing a battery backup sump pump. case of a power outage or if there is a failure with the primary sump pump. perfect to protect your home from pump failure.